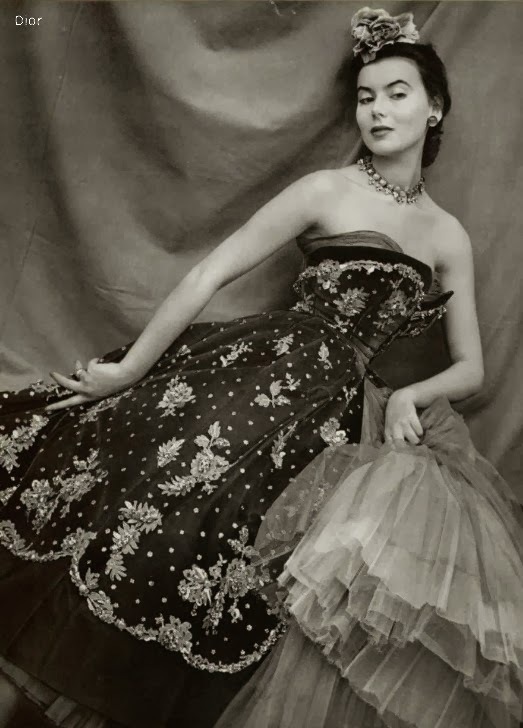 About a month ago I wrote a post about my favorite fashions by Fath from 1950, so now I am sharing my favorite Dior designs from that same year. 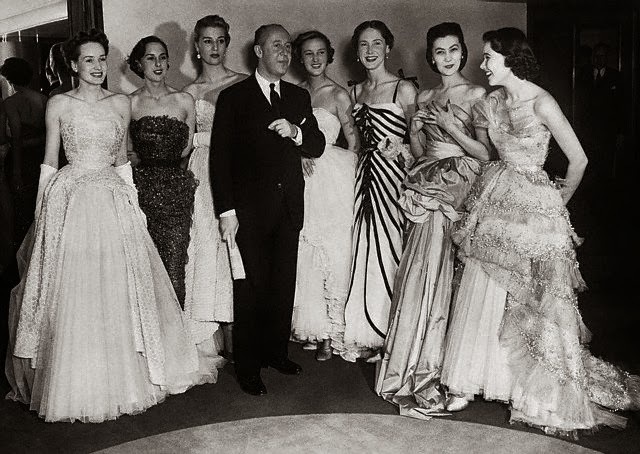 It was harder for me to find 10 favorite Dior designs than I though it would be. 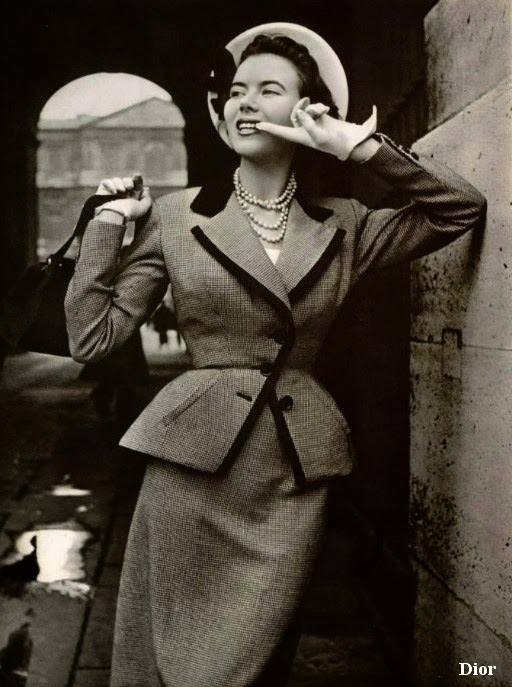 I guess 1950 isn't my favorite year for Dior. 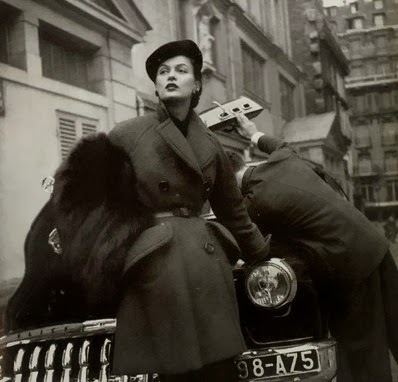 I am constantly adding pictures to my files, and have many on Pinterest by Dior that I haven't gotten around to transferring over to my computer. 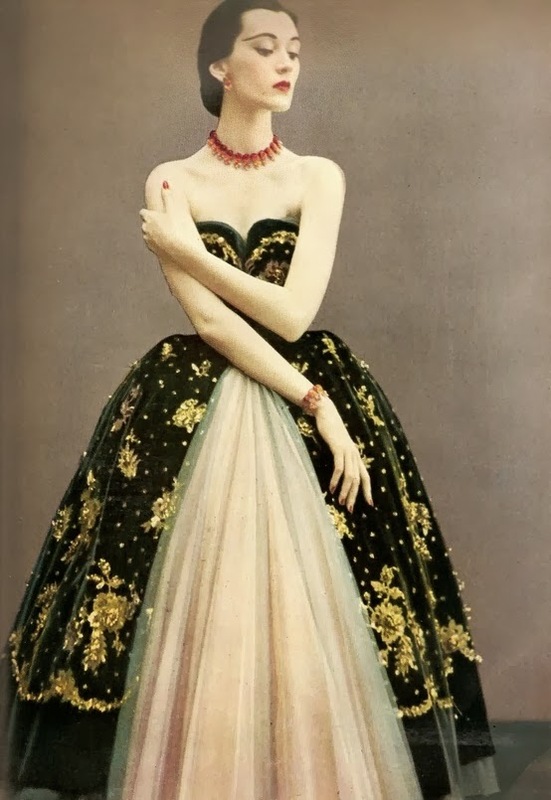 I am sure I will find more Dior creations from 1950 later. 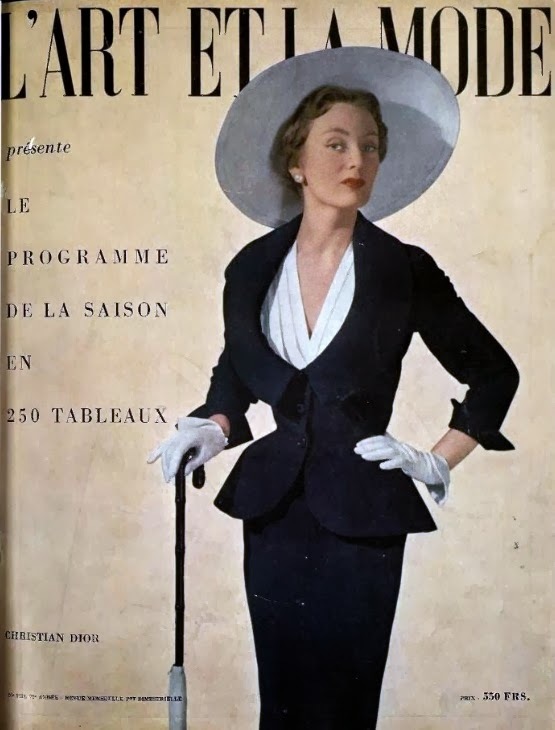 I am already regretting that I didn't start posting about my designer favorites in 1947 when Dior launched "The New Look", but I will do that later. So in no particular order, here they are. I would love to make all of these outfits for Gene. 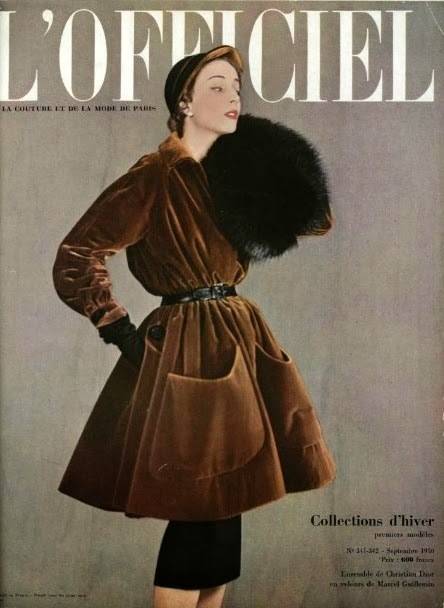 The velvet gold coat over the slim black skirt is great. 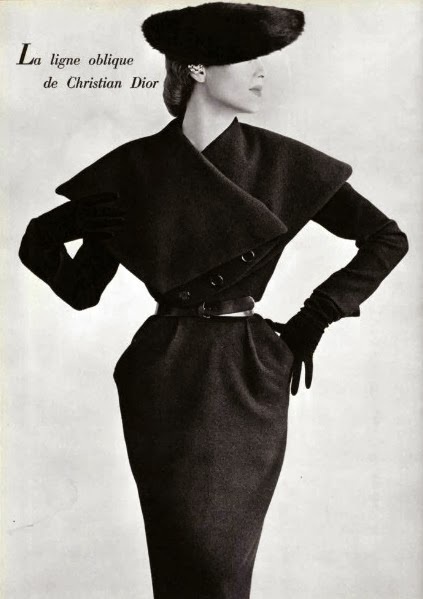 Here is another stunning coat over a slim skirt. Love the color. 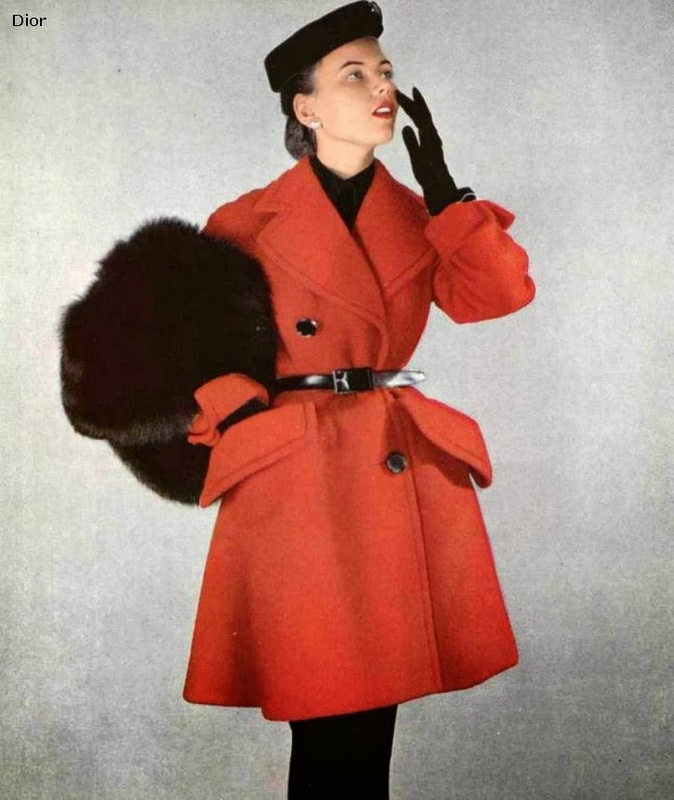 I really appreciate seeing the fashions in colored photos because if I hadn't seen the first photo of this coat, I would have assumed that it was grey and not that lovely melon color. I want to try making my own lace fabric by sewing lace trim on fabric. 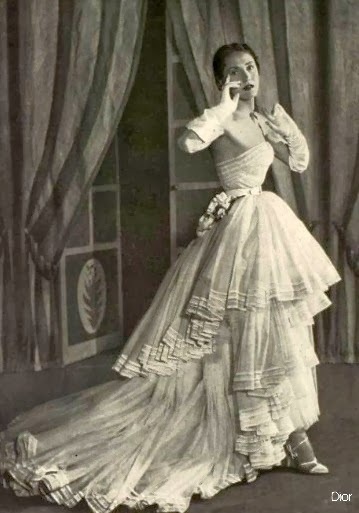 It looks like I would need 2-3 different widths of the same style of lace to make this dress. I doubt I would make more than a couple of these. 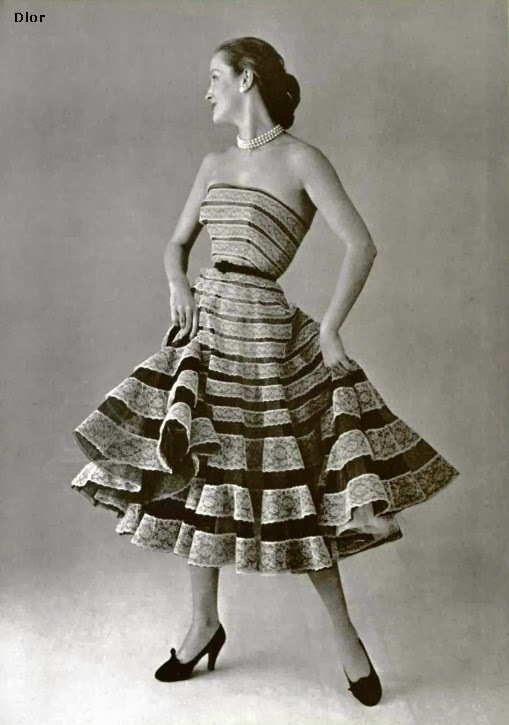 Love everything about this dress; the fabric, the over dress, the underskirt, etc. 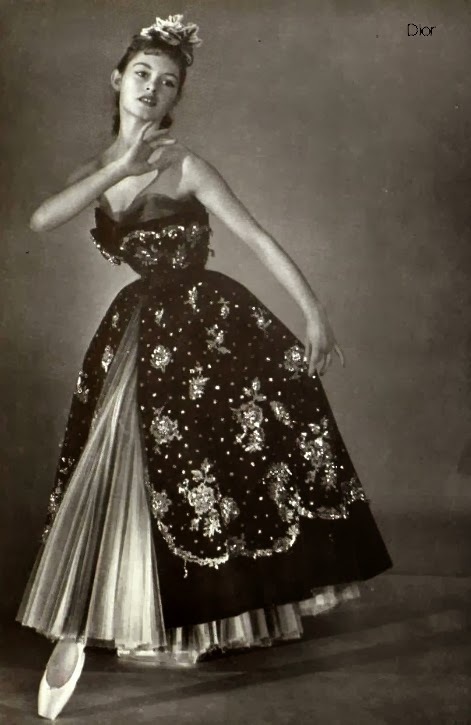 I have a thing for full skirts over slim underskirts and brocade, so this is a winner in my book. 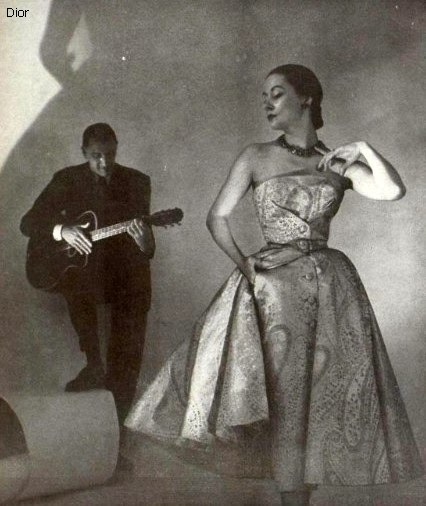 I also love the bodice darts. 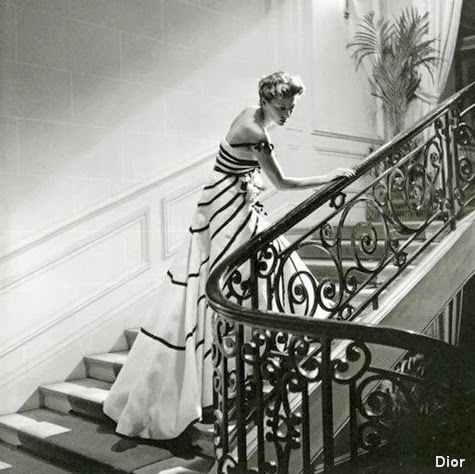 I tried to make this dress for Gene years ago, it was a fail. 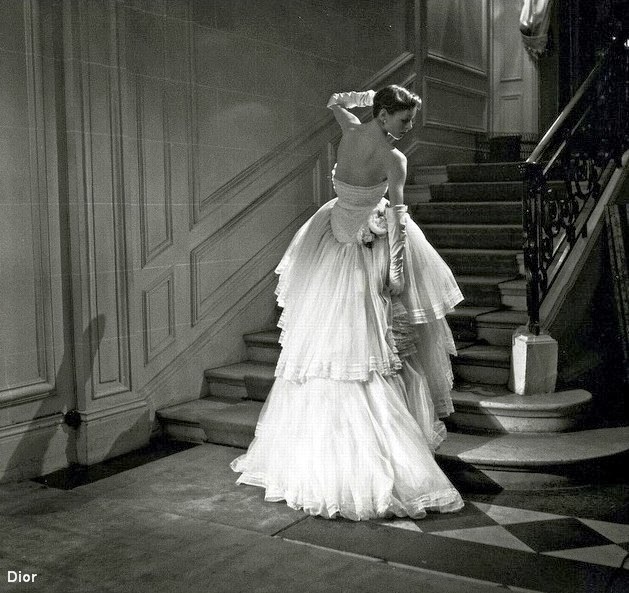 But now that I have seen the back of the dress, I may attempt it again someday. I love suits with trim. 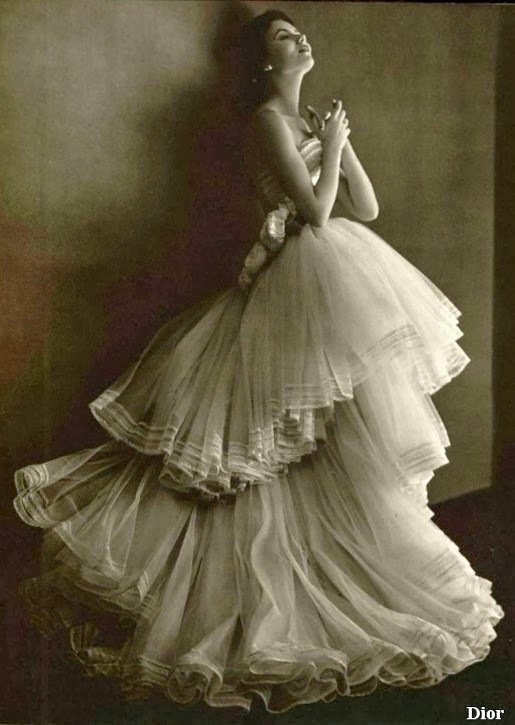 I saved my favorite for last, love this low neckline with the white pleated blouse underneath. The suit with trim looks a lot like Gene "Suited to be Colonel". The best for last (I agree) reminds me of the suit worn by Ivy Jordan. The pleated blouse inside was pink. I don't remember what it's called but I bought the doll because of the suit.